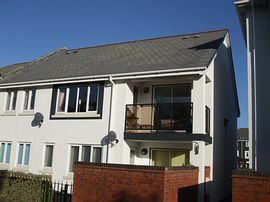 Spacious first floor apartment on Conwy Marina overlooking Conwy golf course. Sleeps 6 in 3 bedrooms and 2 bathrooms. 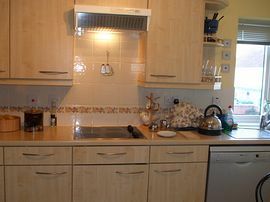 Furnished and equipped to a very high standard with dishwasher, washer-dryer, fridge-freezer, microwave, Freeview TV, DVD & CD. 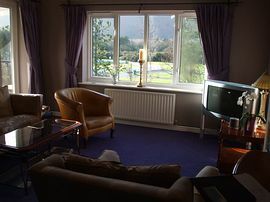 Comfortable sitting room with stunning views of Conwy golf course, from the balcony and bedrooms. The medieval town of Conwy is 1km away by car, or a pleasant 15 minute riverside walk with castle, pubs, restaurants and shops. From the marina it is a short walk to the beach and excellent pub restaurant and the first tee at Conwy Golf Club. An excellent base for touring North Wales with Snowdonia, Llandudno and the Island of Anglesey close by. 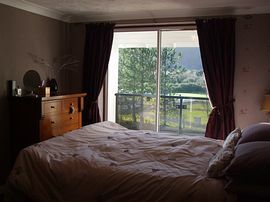 Prices include heating, electricity, linen, towels and Wi-Fi. Walk to Beach & Excellent Marina & Pub. Walk to Conwy Golf Club (Welsh Club 2007). Private parking for 2 cars and garage for storage of golf clubs, kayaks etc. From: £350 to £750 per week. Short breaks October to Easter (except school holidays) from: £295. All rates are inclusive of heating, electricity, linen, towels and Wi-Fi. 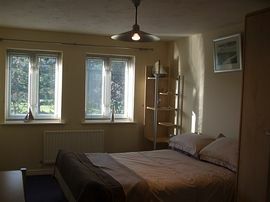 New to the holiday rental market for 2011.